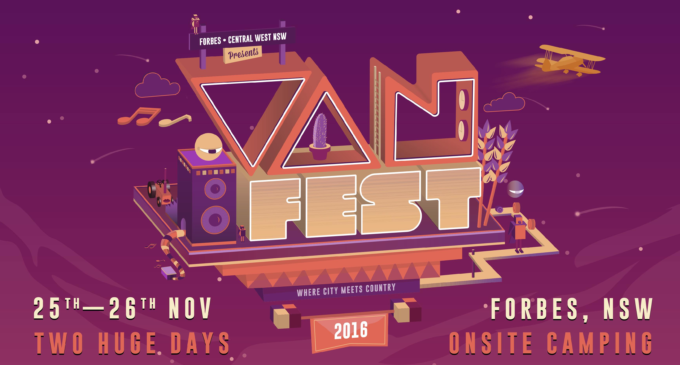 Vanfest is returning to the New South Wales regional metropolis of Forbes this November and in 2016, organisers have once again put together one heck of a line-up to entertain the masses. Now in its third successive year, the festival stages will come alive to the music of Angus & Julia Stone, The Rubens, The Potbelleez, Drapht and Dead Letter Circus, as well as Tigerlily, Vera Blue, Urthboy, Mashd n Kutcher, E^st and Hein Cooper. Understandably, father and son team Grant and Matt Clifton, who organise the whole shebang, are excited. Vanfest 2016 will be held at the Forbes Showgrounds across two days – November 25 and 26 – with camping, ticket and transport packages available for pre-sale from Tuesday September 06.